Missing teeth can make anyone feel self conscious. However, not only do those missing teeth pose an aesthetic disadvantage, they can also make it hard to eat and speak properly, or worse– alter the structure of your mouth and jaw thereby causing permanent damage! Luckily for you, Satarsiero Family Dental offers a long-term solution: dental bridges. 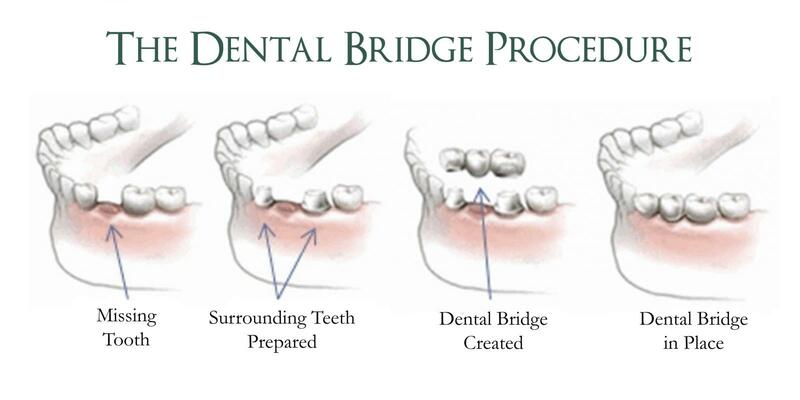 Dental bridges function with your existing teeth to create a literal “bridge” across the missing tooth space. Strong and durable, the bridges are lab-constructed to your specific tooth using a mold taken by the dentist, and are usually made from gold, metal, alloys, or porcelain. 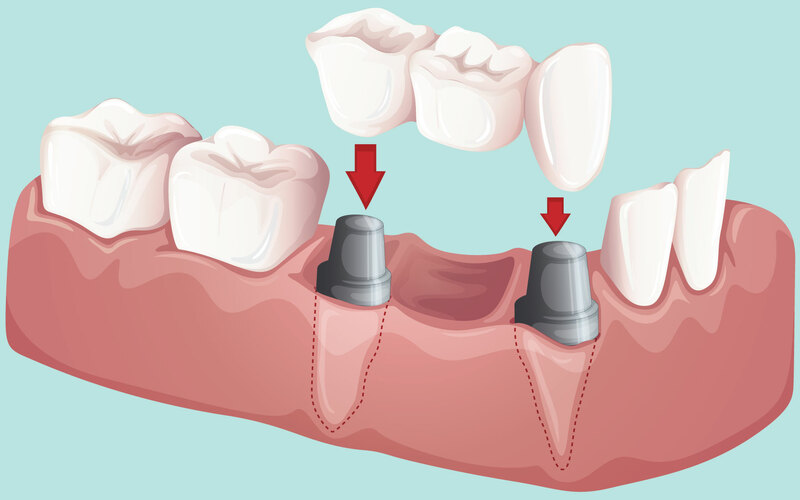 We start by creating “abutments” out of your existing teeth; we recontour them to provide a base for the bridge. The mold of the area is then created and sent out to the lab to custom-make the bridge to your needs. This bridge will end up being three pieces: two crowns for the teeth on either side, to place over the abutments, and a “pontic” which will be the new tooth replacing the one that’s gone.Don’t worry: we’ll fit you with a temporary bridge to protect the area while we wait for the lab to send your permanent one in! The follow up visit is a quick one to fit the bridge, and then set it in place using a strong adhesive.The first few days with your new bridge may feel strange, and we recommend sticking to soft foods while you adjust. After that, however, you can eat whatever you want and smile confidently with teeth as good as new!